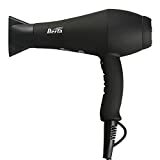 JINRI 1875W Lightweight DC Motor Low Noise Hair Dryer Negative Ion is currently selling at $0.00, which is its normal price. It has a lowest price of $0.00 and is selling within its usual range. Price volatility is 0% (meaning it does not change often), so you might have to wait a while for the price to drop. Until then this is a recommended 'ok deal'. The current deal is also the best price on this item over the last month. 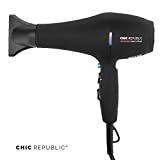 Compare the current price, savings (in dollars & percent) and Buy Ratings for the top Hair Dryers that are closely related to JINRI 1875W Lightweight DC Motor Low Noise Hair Dryer Negative Ion. 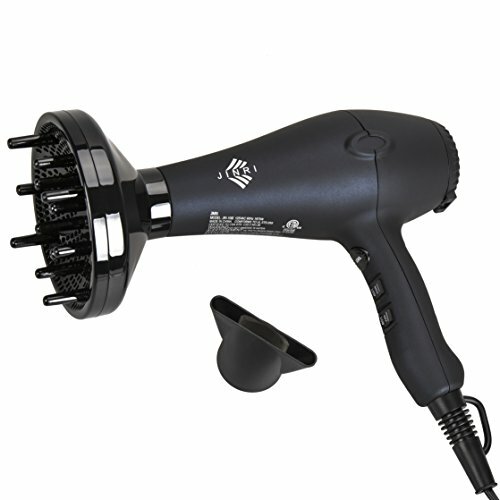 Here is how JINRI 1875W Lightweight DC Motor Low Noise Hair Dryer Negative Ion compares with other leading Hair Dryers. Inos have been scientifically proven to eliminate static electricity caused by the styling of hair and quickly help to eliminate frizz.This hair dryer features a built-in Ionic Generator that emits massive negative ions to eliminate frizz,keep hair humidity-resistant,and maintain natural health of hair.The Tourmaline Ceramic coating provide even heat distribution,which penetrate hair quickly and evenly from the inside-out,drying hair in a fraction of time,and the conditioning.Tourmaline minerals seal the cuitle and boost shine to create silky-smooth results. Button Settings 2 Speeds / 3 Heat settings Adjustable temperature and speeds,ability to avoid heat damage.Use lower settings for styling and higher temperature settings for powerful drying.Getting the most use out of your dryer.Cool Shot Button Lock in your style with the cool shot button that provides a blast of cold air to hold your look all day long.